This week we made the drive to Caen to distribute sleeping bags, trousers and coats to a group of Sundanese refugees staying in the Ouistreham area. 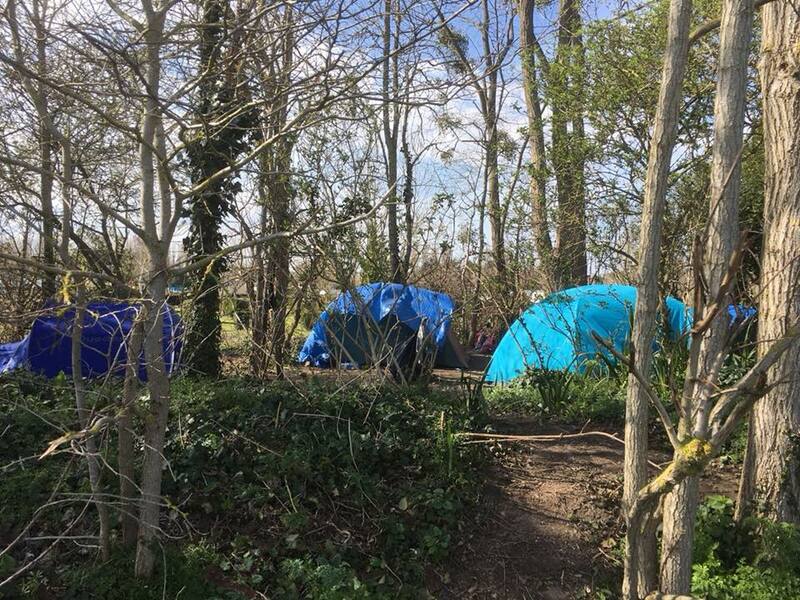 It was a welcome relief for the community camped out in the woodland that the weather had lifted and the sun was shining, a stark contrast from the last time Care4Calais visited when there was a thick layer of snow. They had seized the opportunity to construct as best they could a couple of small camps which again was in contrast to our last visit where they had no tents at all. The first person we spoke to said that they were only able to construct their modest camp because the police hadn’t been for about a week. He explained that the police routinely clear their camps and confiscate their tents. This profoundly affected me and I was absolutely disgusted that the individuals who are charged to protect and serve the community routinely destroy what little community the refugees here are trying to build. I was later informed by veteran volunteers that this is the case all across France and confiscation of belongings and police violence are a daily occurrence endured by refugees due to our governments believing this will somehow stop people who have fled much greater horrors from arriving here. Today however the police did not arrive and we were able to distribute without any hassle at all. Despite their situation they were all in good spirits and were very grateful for the donations. We handed out 150 sleeping bags 100 jogging bottoms, 100 pairs of brand new hiking boots 50 thermal packs, 30 tents, 120 jumpers 100 tshirts and 100 winter coats. They went down very well and people were all smiles as they waited for their evening meal. For the last few months the locals of Caen and Ouistreham have organised to try and feed the refugees that are trapped there. They arrived at 6pm and I was amazed at the efficiency with which they were able to feed everyone. Now they were all well clothed and fed everyone was full of energy. As so often happens a football was produced and a game ensued. It was heartwarming to watch young men of 16 and 17, cruelly robbed of a lot of their teenage years, light up with glee as they ran rings around me and some of the other volunteers. Safe to say this one was Sudan 1 England nil.